JNTUK M.Tech (R13) Regular/Supply Question Papers Collection. 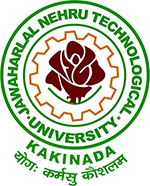 jntu kakinada m.tech previous question papers, jntuk m.tech 1st sem question papers, jntuk m.tech 2nd sem question papers. JNTUK M.Tech Question papers : We are Providing M.Tech R13 Regulation all semester’s regular and supplementary examination previous question papers. Students those who are searching for m.tech previous question papers, can download from below provided links. If you are facing any problem in downloading question papers please comment below. Sir/mam please provide M.tech structural engineering specialization 2016 & 2015 1-2 previous papers..